Here, Anya talks about how she was a student with both dyslexia and ADHD. She talks about her experience and how she was able to be successful through her parents help and her teachers around her. She also touches on how she uses what she had to go through and uses this to help her students now, since she is a special education teacher. For individuals that have dyslexia, assistive technology allows for tools that allow for reading and writing to be easier. It is usually done in computer alternative systems and software. Comprehensive technology options: Comprehensive technologies offer multiple assistive technologies tools in one. Typically providing support for reading and writing. Planning, time management and organization: Helping learners with planning, time management, and organization. Today, apps can make phones and other handheld devices almost personal assistants. Homework assignments can be recorded, to-do lists can be created, reminders set, assignments broken down into manageable steps and more. Text to speech: With text-to-speech technology, dyslexic students can listen to words while scanning text or visualizing with the narrative. This can be used to improve reading speed, develop visualization skills, and many students report that it helps them see whole words instead of strings of letters. Speech to text: Speech to text software takes the spoken word and translates it into text. Individuals with dyslexia can speak into a built-in or external microphone and their words appear on the screen. Spelling is no longer a barrier to writing, however, users have to learn to speak their punctuation by saying "comma" or "new paragraph" as needed. Audio recorders: If writing or taking notes is difficult an audio recorder can record class content, so information can be reviewed at a later time. 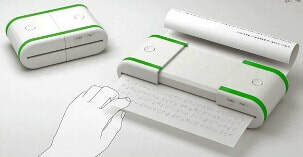 This enables individuals with dyslexia to focus on the content instead of writing and spelling. Whether you're in a lecture, interview, or conference, learners can be fully present. Timers and metronomes: For students with dyslexia who struggle with attention and stamina, timers and metronomes can make a difference. On the one hand, timers, can help focus the student effort and provide motivation over an allocated period of time. On the other hand, metronomes make repeated sounds at adjustable intervals to create a pace or rhythm for learning. Kinesthetic desks, chairs and tools: For dyslexic students with attention issues or who may fidget and fiddle in the classroom, there are "kinesthetic" desks and other furniture that allow movement or feature movable parts like swiveling platforms, ellipticals, and bike pedals. These tools increase heart rate, improve circulation and, in turn, stamina and mental function. White noise/noise canceling: Research shows that frequency modulation systems, white noise and some types of music can help some struggling learners study by blocking unexpected noise thus enhancing attention. Calculators and step by step math: Some students with dyslexia can struggle with rote learning reversing symbols such as the greater and lesser sign, word problems, handouts that are visually dense and multi step problems. Note-taking: Note-Taking is a deceptively complex task. Having to simultaneously listen, process and write can overwhelm some students. What to do? Luckily there are helpful apps and devices for making this essential task easier. Graphic organizers: A graphic organizer, also known as concept map, story map, cognitive organizer, or concept diagram is a tool that uses visual symbols and sequenced text boxes to express knowledge, concepts, thoughts or ideas, and the relationships between them. In particular, graphic organizers can help students with dyslexia to organize and plan out large assignments, stories, essays, lab reports, timelines and more. Writing assistance: There are a number of programs that can help students with dyslexia to master the overall structure of the writing process. Word prediction, spell checks, and grammar checks: Students with dyslexia often struggle with spelling, word finding, and writing. For these learners, word prediction, spelling and grammar software/apps can help them focus on the content of their writing rather than the mechanics. OCR/Scanners for text-to-speech: Optical Character Recognition along with scanners are great at transferring text from physical sources onto a a digital document. There are various types of OCR programs and apps available for desktop and mobile. Language learning: Although many students with dyslexia qualify for a foreign language substitution or exemption, for those who can choose to learn a second language, there are a number of products on the market that can help with the learning progress. •Reading Guides and Color Overlays: If students with dyslexia are experiencing visual stress, whether it be overwhelmed by a page of text, struggle with visual tracking, having difficulty maintaining attention while reading or dislike the contrast of black letters on white paper. •Endless Numbers: This Apple app helps young students learn number recognition, sequences, numerical patterns, quantity and simple addition with adorable monsters. Numbers come alive and short animations offer context and meaning. •Smartpen: This pen and audio recorder records speech and text simultaneously. Recorded text can be made digital, and recorded audio can be mapped to the text allowing a student to re-listen to a specific part of a lecture.